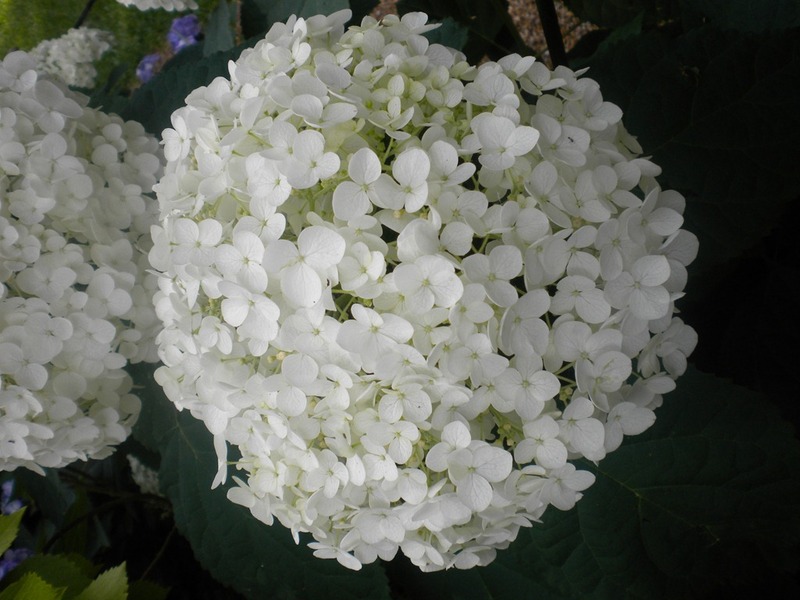 Each year in May, Brenda and I go spend a few hours in Shirley Dawkins’ garden, admiring the spectacular hydrangeas in bloom and talking her out of a few cuttings. Today was the day. 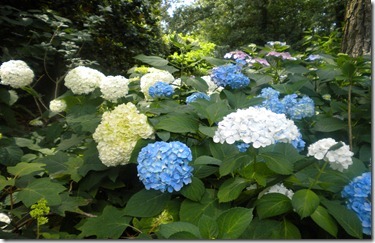 The huge mopheads are big as dinner plates and the colors range from pinks, blues and whites to almost red. Hydrangeas are Shirley’s favorite but she also has a sun garden, shade garden and kitchen garden – the garlic was blooming today and I’m wondering why mine are not! Lately, I seem to be afflicted by bloom deficiency. My azaleas didn’t bloom worth a flip and nothing else is either. I guess you really do have to put in some work to have a beautiful garden and you know me – ‘short cut’ is my middle name. I bought some pretty real-looking plastic flowers (pictured at left). I stuck them in the ground with some dead branches and I think they look pretty nice. Saves on water too. Brenda told me I was beyond tacky. Hey, plastic can be pretty if you don’t get too close. 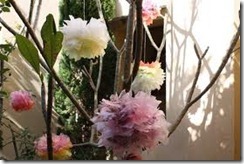 Plastic surgery, plastic fruit, plastic Christmas decorations – why not plastic flowers? Uh-oh. 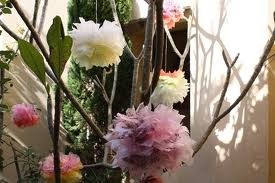 I just remembered an episode of “I Love Lucy” where she planted plastic tulips and they melted in the hot sun. These won’t last long in my Mississippi. This entry was posted in Gardening by Emily Jones. Bookmark the permalink.